London’s congestion charge is getting stricter and greener as Mayor Boris Johnson has confirmed a series of changes that will go in effect in July, that will drastically revise who will be available for discounts and exemptions. From July 2013, the Ultra Low Emission Discount (ULED) scheme will provide a 100% discount only for electric vehicles and ultra-low emission cars and vans, with the current 100g/km of CO2 emissions lowered to 75g/km or less. The new change is designed to curb the increasing number of diesel cars and further encourage the use of electric and plug-in hybrid vehicles. Many drivers took advantage Greener Vehicle Discount that was introduced in January 2011, but the number of qualifying car models more than tripled which is defeating the purpose of decreasing traffic congestion, while it increases overall emissions. For those who are currently using the GVD, the TfL has decided not to penalize them immediately and has put in place a 'sunset period,’ that is an extra three years where owners who have cars registered under the GVD (emitting less than 100g/km) before 28 June 2013 will be exempt from the charge until 24 June 2016, but after that, cars like the FIAT 500 TwinAir , KIA Picanto , Nissan Micra Toyota Aygo, IQ, Yaris and Auris hybrids and even the Prius will no longer be getting exemptions. - on 26 July TfL has decided to drop the option to pay for the charge in shops, as only 6% currently use this form of payment. A spokesman for London Mayor Boris Johnson said: "These changes are in line with the mayor's aim to improve air quality in London by reducing emissions from private vehicles and promoting the further development of low emission vehicles. 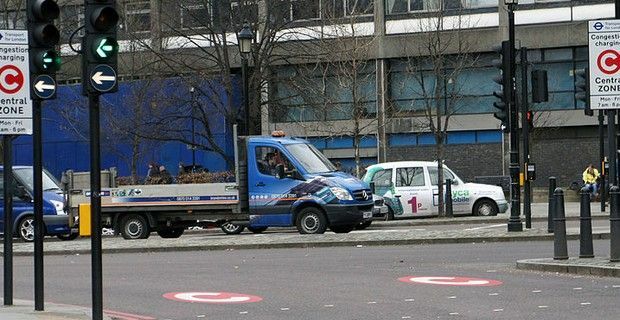 We want to encourage the continued development of these technologies, while also protecting the benefits to traffic flow in the center of London that the charge provides." The congestion charge is a £10 daily, while drivers who are registered with the automatic payment system pay a fee of £9.